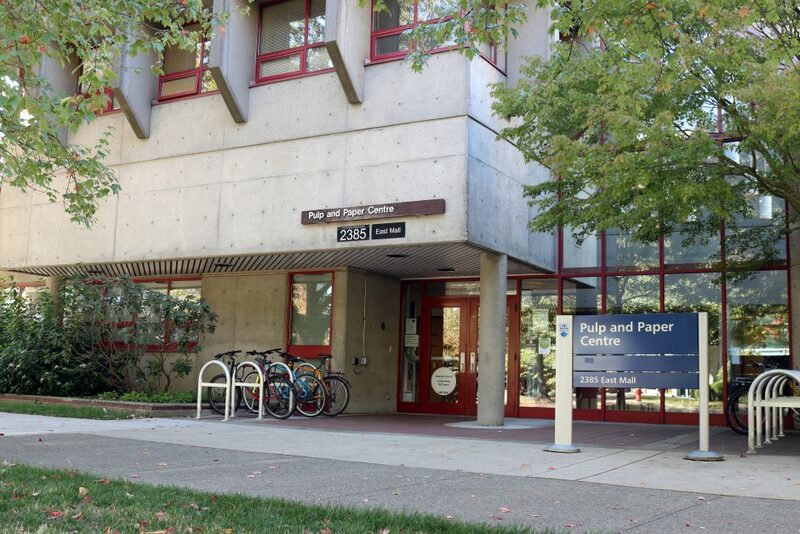 The Pulp and Paper Centre is an interdisciplinary, cross-faculty research centre with specialized laboratories and offices for graduate students, post doctoral fellows, research engineers and faculty who conduct research for the benefit of the current and future pulp and paper industry. The centre serves to bring together faculty and student researchers to work collaboratively with the manufacturing industry, utilities, supplier industry, consultants and government agencies. The centre also serves as a point of entry for the industry looking to the university for innovative solutions, new technology and educational programs. The Centre brings together the faculties of Applied Science, Forestry and Science, with participation of the Departments of Chemical and Biological Engineering, Civil Engineering, Electrical and Computer Engineering, Mechanical Engineering, Metals and Materials Engineering, Chemistry and the School of Architecture. For more information, visit the Pulp and Paper Centre website.